Customers ask us all the time about silk-screening and custom imprinting for their acrylic displays. How does the process work? What kind of files/formats are needed to best screen my artwork? And what are the added benefits of screen printing on Brochure Holders, Sign Holders, Menu Holders, Table Tents, and Point-of-Purchase (POP) Displays? We’ll answer all these questions but here’s a little background first. The silk-screening process traces back to China’s Song Dynasty (960-1279 AD). It’s a printing technique that began by transferring ink to a substrate through a mesh. A blade or squeegee was used to spread the ink and blocking stencils were used to create the finished design. Fast forward to the late 18th century. That’s when the screen printing process started gaining notoriety across Asia and Western Europe. In the 1910s, the technique jumped from silk to printing with photo-reactive chemicals and photo-imaged stencils. This laid the groundwork for the commercial digital process we use today…lifting images and artwork from e-files for the imprinting transfer. Plastic Products Mfg techs perform this process using artwork you can send in a simple e-mail. But what kind of artwork files work best? Our “artisans” by and large prefer Vector Art or EPS Illustrator. They’re the two most “artwork ready” programs, ideal for full color CMYK imprinting and large batch produced graphics. Use one or both and all you have to do is attach and send, basically. Speaking of large batches, the already-minimal cost of screen printing and silk screening drops even further with bulk orders. Sign Holder and Brochure Holder orders with custom imprinting get lower volume pricing in 100-249 pieces, 250-499, 500-999, and 1000+. The number of colors (1 to 4) used in silk-screening also determines price. Why customize display holders in the first place? Acrylic is a perfect “canvas” for screen printed logos, graphics, artwork, and designs. We offer silk-screening for practically every style we produce. It’s a great way to get noticed and boost brand recognition as well as upsells. From hardware and garden centers to bars and restaurants, customers’ inquiring eyes lock onto your POP displays more intently when they’re personalized and colorful. That’s what helped make campaigns with Esther Price Candies, Ruby’s Diner, and Stella Artois more successful: custom-printed Brochure Holders and Menu Holders from PPM! By the way, you can actually see how to screen print one image or screen print multiple layers on Wikipedia (https://en.wikipedia.org/wiki/Screen_printing). It’s fascinating to watch this ancient process so alive and well in modern applications! If you’d like to apply it with your next PPM order, just let us know and we’ll be glad to answer any more questions. Widely considered one of the most recognized and influential sitcoms in TV history, I Love Lucy first hit the airwaves in 1951…and after six years and 181 episodes, ranked as television’s most watched show through four seasons. Today, new generations are still laughing and loving Lucy in syndication, estimated at 40 million Americans and in dozens of languages around the world. In an episode that aired June 1, 1953 entitled “Lucy Wants New Furniture,” Lucy buys new furniture behind Ricky’s back and calls him “Senor Tightwad.” Of course, zaniness ensues, Ricky finds out what Lucy’s up to, and keeps the furniture at his club until she can pay for it from her “allowance.” We won’t play spoiler in case you get a chance to see it soon. Some of those furniture styles Lucy had her eye on then are back in vogue now. According to Furniture/Today and Apartment Therapy’s 2016 Home Decorating Survey, 57% of responding consumers said they prefer vintage home furnishings. Of course, they have to see it first and not just through Lucy’s eyes. According to www.vintagegaragechicago.com, 2016’s hottest design trends include hanging pendant lamps, pedestals, and vintage desks. And now it’s the millennials and new empty-nesters making up a growing furniture consumer market with an eye to the retro. With retailers jumping on board, what’s old is chic again…and it shows in effective new marketing displays across the country with acrylic Sign Holder and Poster Holders. What better way to spotlight the new wave in “Mid-Century Classics” as a design for modern living? By the way, I Love Lucy fans voted for their favorite all-time episode during a 60th anniversary celebration in 2005. The winner? “Lucy Does a TV Commercial” from May 5, 1952. Lucy’s hired to promote a new patent medicine as the “Vitameatavegamin Girl” in live TV commercials. Little did she know that this new “formula” was loaded with alcohol, getting her tipsier and tipsier with each take and every sample. It’s considered by many to be one of television’s classic moments in comedy. If you’re in the furniture industry, think vintage…it’s all the rage. Be sure you have the right Point-of-Purchase (POP) Displays ready to show your stuff. And try to catch some old Lucy episodes for even more inspiration. Otherwise, you just might “have some ‘splainin’ to do.” You knew it was coming! Apple’s new headquarters in Cupertino, CA opens in 2017. Known as “The Spaceship,” this new tech facility will showcase the influence of Steve Jobs in multiple ways, including the furniture. Jobs’ philosophy in that area was “less is more,” and The Spaceship captures that “Throwback Thursday” attitude in tribute to the perfectionist and visionary Apple founder. Jobs’ minimalist approach to furnishing also applied to the Los Gatos home he shared with his wife Lauren and their children. A great deal of thought and analysis went into the couple’s theory of the function of furniture, like the purpose of a sofa. But like any couple or individual, visual appeal counts when shopping for the perfect pieces. And even the Jobs family didn’t have online shopping to help them back in the early ‘80s. Just as it was then, furniture retailers today need the right kind of Point-of-Purchase (POP) Displays to showcase their finest pieces. Even geniuses need visual guidance, especially when shopping the showroom floor. 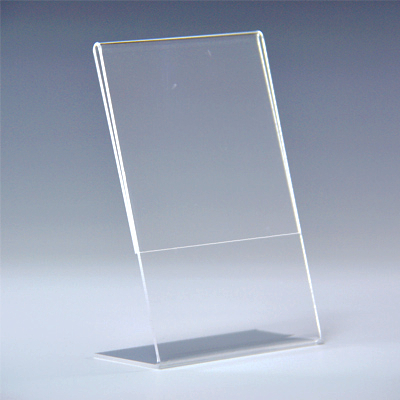 Nothing shines a brighter light on furniture sales than crystal clear acrylic Sign Holders, Poster Holders, and Literature Displays. In a way, this direct form of advertising is also a sort of “Throwback Thursday”…and will continue to be, especially now at the height of furniture sales season. But how much time and effort are customers actually putting into selecting a new sofa or mattress? According to the Sleep Better Council (http://www.bettersleep.org), one of their six recommended steps involves choosing the right store. If you’re a businessperson, you of course hope that your location is the chosen one. And once that customer walks through the door, that’s where the visual acuity of acrylic displays serves as the ideal sales assistant! Granted, most furniture shoppers likely aren’t taking the same approach as Steve Jobs once did. But whether for one eclectic piece or a houseful in the latest trends, seeing is believing! And who knows? You might even inspire someone through acrylic displays to decorate in their own Throwback Thursday motif! Ahhh, the Holidays. On a personal level, it’s the time when many pause to count their blessings and spend quality time with family and friends. Professionally, business owners and managers count on the holidays to either make or break annual profit margins, for better or worse. 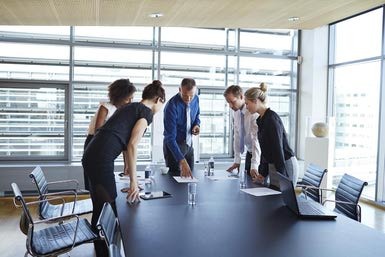 It’s also time to assess 2014 and make a marketing plan for 2015 that delivers results. That’s where POP Displays in Glass Green and Thicker Premium Material make a difference…and Plastic Products Mfg (PPM) can help provide what you need. Thicker Premium Sign Holders are a budget-friendly way to get the word out, whether promoting 2-for-1 Margaritas, a rental car upgrade, or special bank promotion. You can measure the success of individual campaigns and do your own cost-benefit analysis. Thicker Premium Material Sign Holders will help you get that profitable edge at the same low price as inferior competitive models. 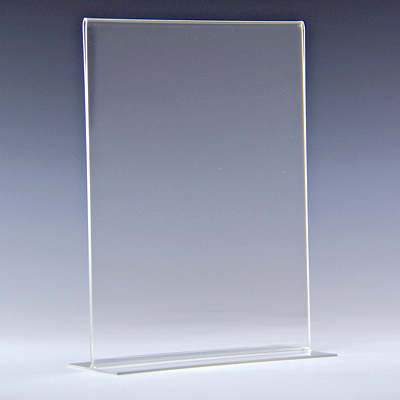 PPM’s innovation in plastic Sign Holder characteristics makes the crystal clarity and thick .098 gauge premium material the very best quality available, ensuring a strong ROI. Top-loading Display Stands, double-sided Sign Display Holders, and Table Tents in Thicker Premium Material boost customer awareness at the right point: when and where purchasing decisions are made. Seize that opportunity to build per-guest spending and brand recognition for repeat business. Want to catch more eyes and stop foot traffic? The allure of Glass Green Sign Holders and Poster Holders captures that magnetism. Glass Green not only adds refined aesthetic appeal in high-end applications, it also presents more strategic options in POP Displays. Go beyond countertops with Glass Green Wall Mount Poster Holders in several vertical and horizontal size configurations. This style loads from the top and side for added convenience, a real plus on busy days. You can also take promotions to great new heights with Glass Green Poster Displays…literally! Ceiling Mount Poster Displays in Glass Green get noticed from great distances and present a striking image at the same time. With Glass Green Ceiling Mount Poster Displays, sales are truly looking up! 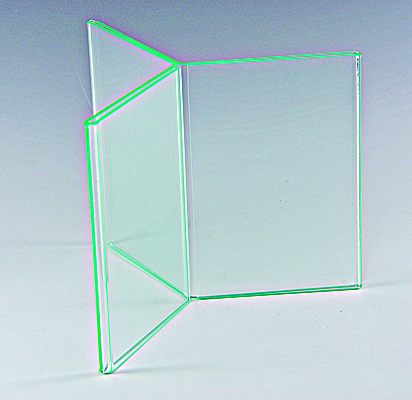 A wide range of sizes helps make Glass Green Wall Certificate Holders a real draw. In addition to a classy, sophisticated look, this particular Glass Green Poster Holder is also versatile and ideal for placement in prominent high-visibility locations. Your message and branding reach directly to customer eyes and deliver incentive to act. 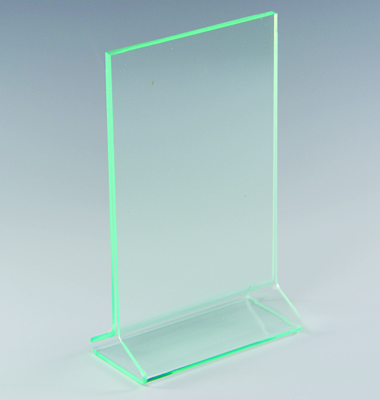 Glass Green Poster Holders and Sign Holders really add to the festive décor this time of year. And Thicker Premium Material gives you a solid POP Display option that enhances retail environments, physicians’ offices, resorts, office centers, and an infinite array of possibilities. Plus, they all serve as attention-getters beyond sales campaigns. Need to identify specific departments within a large corporate facility? Trying to give customers visual guides in a big box store? What about identifiers in trade shows, special events, and fundraisers? Thicker Premium Material and Glass Green Sign Holders and Poster Holders make it happen. They will enhance your final year-end push…and deliver extremely positive results to get 2015 off to a flying start. Take a closer look at www.plasticproductsmfg.com and contact a representative if you have any questions or would like to discuss customization options with your order. We can incorporate your logo, graphics, and text and share a few ideas of our own if you’d like! Looking for new ways to catch customer eyes in an increasingly crowded field of colors and graphics? Consider going with a timeless, classic look that’s guaranteed to hypnotize: Glass Green Sign Holders, Sign Frames, and unique POP Displays from Plastic Products Mfg. Glass Green Sign Holders are both elegant and professional, lending a touch of added distinction to your promotional material. If you want to stand out as the more sophisticated choice, here are some important factors to help put your best foot forward. Strikingly attractive Glass Green Sign Frames really dress up prominent counter displays in thick plastic for a refined yet rock-solid effect. High-end retailers, clothing stores, fitness centers, and physicians’ offices find this style especially attractive with its elegant colored edges. These special Sign Holders / Sign Frames are available in the most popular ad sizes and are also easy to load even on the busiest days. Corporate events, fundraisers, and black tie dinners use Glass Green to portray a world class image. 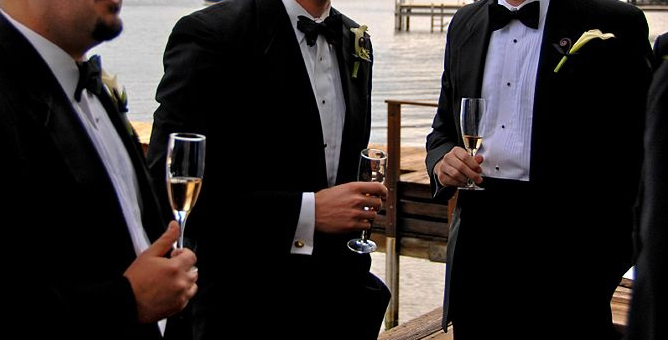 In turn, these special events magnify their success and create a more lasting impression. It’s this same approach to store countertops that also draws attention to promotions. 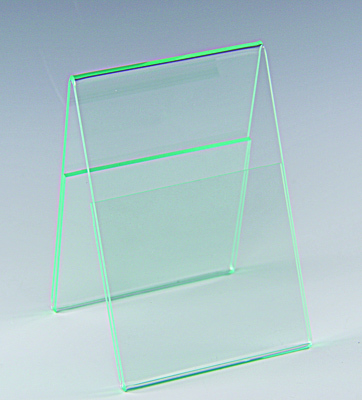 Vertical standing, double-sided Glass Green Sign Display Holders are a prime example. Positioned for viewing from front and back, this unique bottom-loader gives you twice the value by accommodating two separate promotions in the same attractive display holder. No doubt about it: adding Glass Green Sign Display Holders to your counters bring more green to your registers. 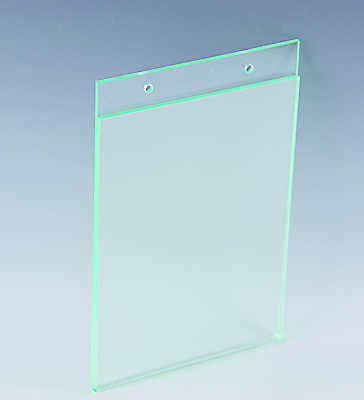 Glass Green Plastic Sign Holders and Table Tents also provide an excellent showcase from fine dining to fine furniture. A solid base supports a slant-back easel that adds to the allure and makes promotions jump from table level to eye level. These high-demand Sign Holders are among our most popular and available in a huge array of size configurations. Customization and the addition of pockets and/or business card holders only builds the buzz and makes your brand more memorable. 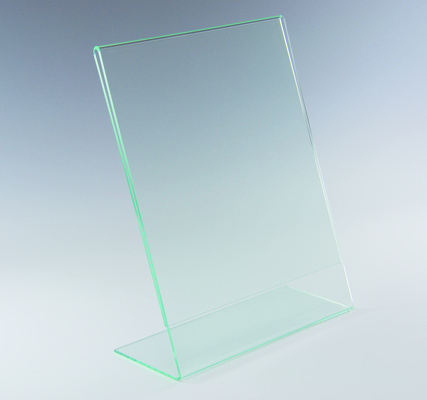 Top-loading Glass Green Display Stands deliver a perfect blend of beauty and functionality. Standing straight and tall for maximum aesthetic appeal, here’s a style that spotlights your professionalism in a versatile range of venues. From classy store aisle displays and office greeting areas to vintage car shows and exclusive spas, this is Glass Green at its finest. That versatility also applies to the scale of sizes you can choose, from 4” x 6” to 17” x 11” and dozens of configurations in between. With economic indicators looking brighter in recent months and promising in the New Year ahead, it’s time to evaluate promotional displays and ways to get ahead in a heavily competitive business world. Don’t overlook a single detail! You just might be surprised at how Glass Green Sign Holders, Sign Frames, Table Tents, Display Stands, and Sign Display Holders really can make a difference. Want a stronger return on your investment? This is an easy choice to make. 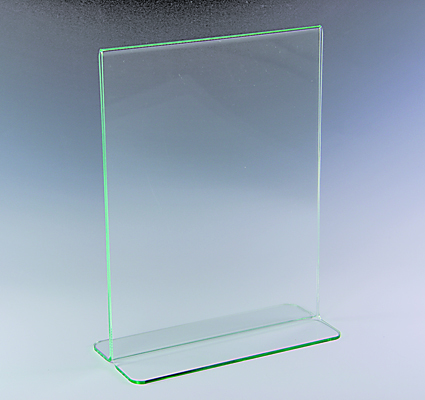 Take a closer look through our online catalog for more Glass Green Table Tents and really stand out from your competitors with your next order. Thank you for visiting www.plasticproductsmfg.com and make today the day to truly Go Green! 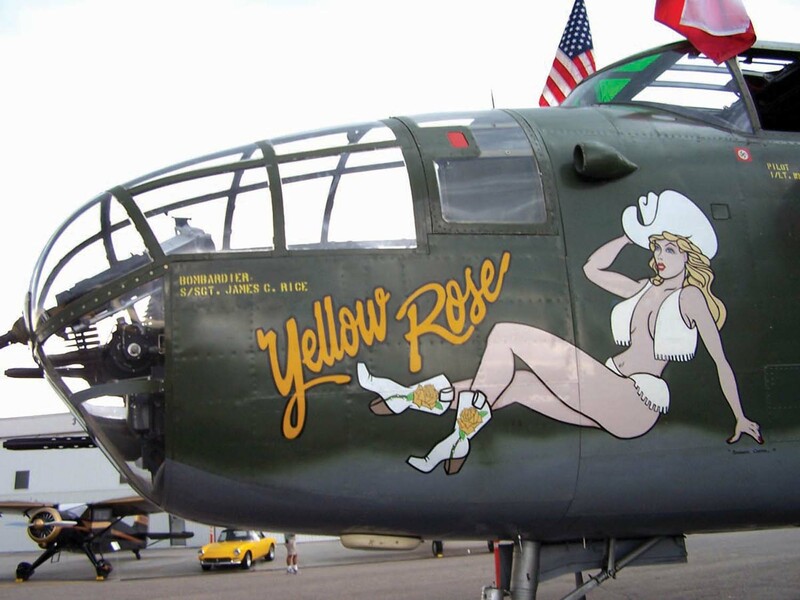 One of the many amazing characteristics of acrylic is versatility, proven time and again from its use in World War Two aircraft to mind-blowing aquariums today. That same versatility is found in the arena of Sign Holders and POP Displays thanks to a new thicker premium material plastic recently unveiled by the pioneers at Plastic Products Manufacturing (PPM). The company’s continuous R&D coupled with a tradition of innovation led to this advancement in Sign Holder attributes while managing to maintain the same low cost as thinner models and flimsy competitors. With premium plastic material thickness now checking in at a sturdy .098, PPM continues to separate itself from the crowd with more durable Sign Holders, Poster Holders, and eye-catching POP Displays. There’s no loss in visual acuity with thicker gauge plastic, either…a sacrifice PPM refused to make. That’s why your customers will not miss a single character in your promotions, spotlighted better than ever with PPM’s uncompromising, high standards of crystal clarity. Now that you’re acquainted with the strength and cost-efficiency, you may be wondering what display holder styles feature PPM thicker premium material and where their practical usage will work best for you. Primarily used in new Sign Holder and Poster Holder styles, strategic location choices for them remain largely the same. On retail floors, vertical display stands close to eye level need to be near the heaviest foot traffic. In the hospitality industry and restaurant/bar establishments, it’s where the foot traffic stops that counts: at the front desk, in the room, or wherever patrons are sitting to eat and drink. Sign Display Holders, slant-back Sign Holders, Table Tents, and POP Display Stands in premium thicker material grab the eye and inspire sales increases. Plus, they can take the knocks that go hand-in-hand with any of these environments. Trade shows? Here’s another area where thicker material and clear visuals give your operation a distinct advantage. Consider the effects of heavy foot traffic and accumulated strain from constant set-up, tear-down, and transportation…tougher Display Stands, Poster Holders, and Sign Holders can take it. During the event, you likely know how it is when lighting is beyond your control. Top-loading display stands could be your best option, especially with your brand custom-imprinted on a sloped base. Slanted Sign Holders in premium thicker material can also reach toward eye level while cutting through arena lighting. When foot traffic stops at your booth or kiosk, be sure prospects see your promotional material…not an eyeful of glare. With a slight investment in either design – or both – you’ll communicate your message clearly and professionally. 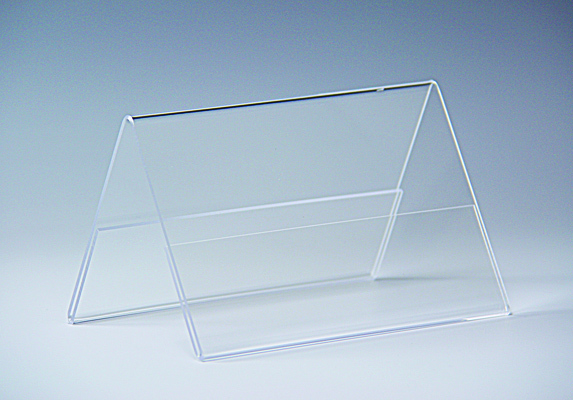 Desktops, countertops, and tabletops are all ideal locations for double-sided Sign Display Holders. It’s where purchasing decisions are made, guest checks are built, and money transacted. As a business owner or manager, POP Displays serve as a type of sales assistant and the success of a particular campaign can be more easily measured. Put your thicker material Display Stands and Sign Holders/Table Tents to the test. You’ve already brought customers through the door: now see just how much of a revenue boost you get from your “silent partners”…premium thick material Sign Holders, Poster Holders, and POP Displays! Take a closer look at our Sign Display Holders, Sign Holders, and Display Stands in our online catalog and thank you for visiting www.plasticproductsmfg.com.